Bechstein’s bat (Myotis bechsteinii) is one of the UK’s rarest bats and is associated almost exclusively with woodland habitat. 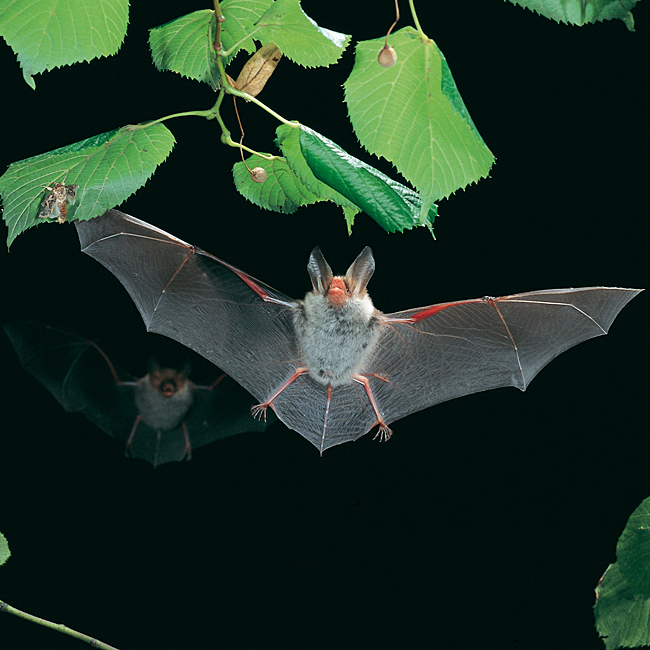 Bechstein’s use woodland for roosting, foraging and hibernation, and are particularly associated with ancient woodland. Distribution wise, they are found only in southern Wales and parts of southern England, this restricted distribution is considered to be largely as a result of habitat removal (ancient woodland). They often use woodpecker holes in trees as roost sites during the summer months and rarely roost in buildings. They typically forage within one or two kilometres of their roost sites (Bat Conservation Trust (BCT), 2010). Genetic diversity strongly influences a population’s resilience and adaptability to change in the face of environmental pressures. As with many things with regards to bats, knowledge about their biology and conservation status is limited. However, with the advance of molecular techniques, it is increasingly possible to gain a better understanding of these species. Due to bats being mobile, genetic diversity has largely been maintained despite changes in land use and other environmental pressures. However, on islands such as Britain, where human pressure is significant, there is an increased chance that genetic diversity suffers, which in turn has the potential to lead to extinction of a species. 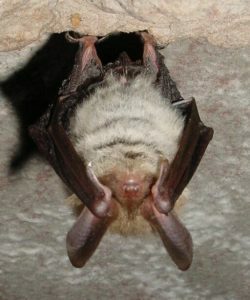 Due to the Bechstein’s affinity with a relatively narrow range of habitat type and features, populations of these bats are considered to be insular. Previous studies have shown an isolation of mating sites, which contributes to low genetic diversity. This particular study looked at 328 individual bats from 15 sites. A wing tissue sample was taken from each bat, in addition to a small number of droppings. The results found that levels of genetic diversity across all sites was high and levels of inbreeding low, with the exception of 1 UK population – Bernwood, Buckinghamshire, showed signs of inbreeding and low genetic diversity, making this particular population more vulnerable to environmental pressures, habitat fragmentation and loss. Whilst genetic diversity was found to be generally high across the species range, those in Britain exhibited a lower genetic diversity than elsewhere and were differentiated from the rest of Europe (Italian populations also appeared to show signs of isolation from the rest of Europe). This seems to be influenced by geographical barriers such as the English Channel, but a differentiation was also found to exist between the northern and southern part of the Bechstein’s range in the UK. The study reports that the absence of obvious physical barriers such as mountain ranges between both populations suggests that anthropogenic barriers may explain the differentiation. These results, when combined with the results of previous studies, will further help to inform conservation efforts – for example, autumn swarming sites throughout the range, are considered to be of significant importance to maintaining genetic diversity. Continued pressures on landscape connectivity means that ongoing long-term monitoring is essential. Genetic structure and diversity of a rare woodland bat, Myotis bechsteinii: comparison of continental Europe and Britain. Wright, P.G.R., Hamilton, P.B., Schofield, H. et al. Conserv Genet (2018).